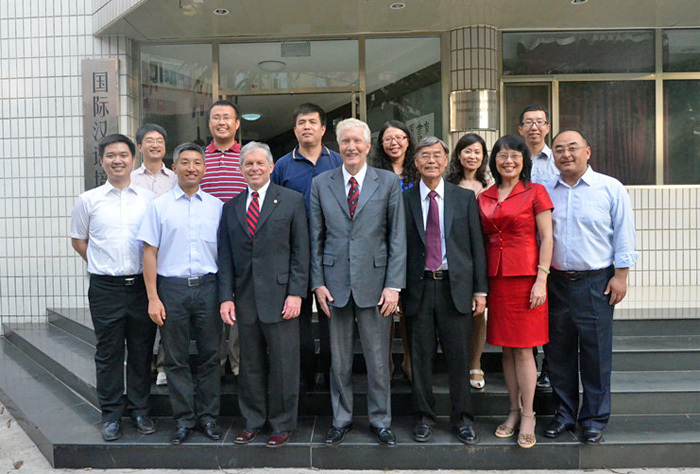 On May 22, 2014, BUPT received a delegation headed by Mr. Lee Royce, Presidents of Missippi College. First, the delegation visited gymnasium and watched performances arranged by International Office、Youth League and P.E. Department. BUPT students presented guests traditional Chinese folk music and martial arts. Chinese folk music with strong nationalistic features is a treasure of Chinese culture. Chinese martial arts are a number of fighting styles that have developed over the centuries in China. 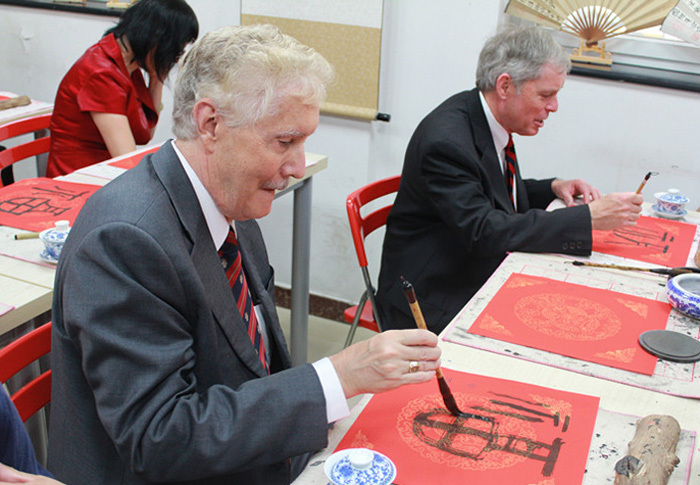 The delegation was strongly expressed by Chinese conventional art. Later, Mr. Qiao Jianyong, President of BUPT, met the delegation in General Building Room 101. He firstly extended his warm welcome and briefly introduced guests our university’s professional features and academic structures. 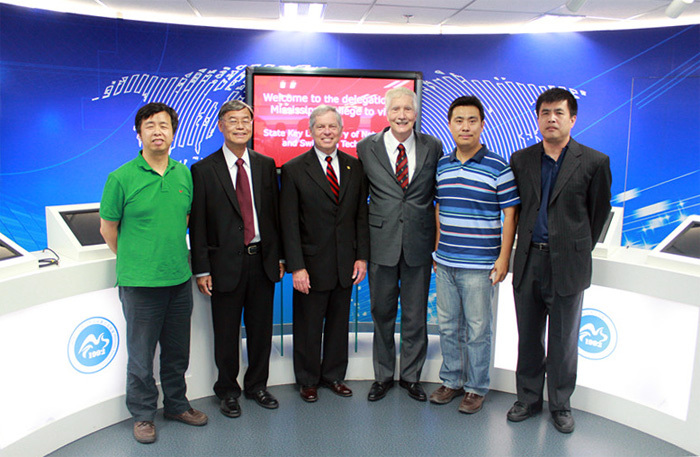 BUPT is one of the China’s leading universities specialized in information technology and telecommunication. Mr. Lee Royce presented not only his appreciation for the hospitality, but also congratulations on a number of successes BUPT achieved in the last few years. 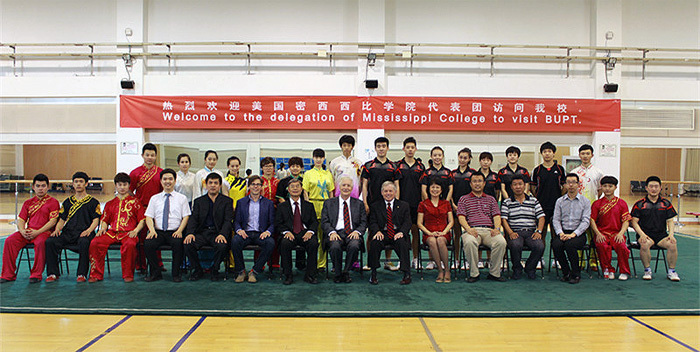 Then, he sincerely invited Mr. Qiao Jianyong to visit Missippi College and establish cooperation between BUPT and Missippi College in the future in all aspects. 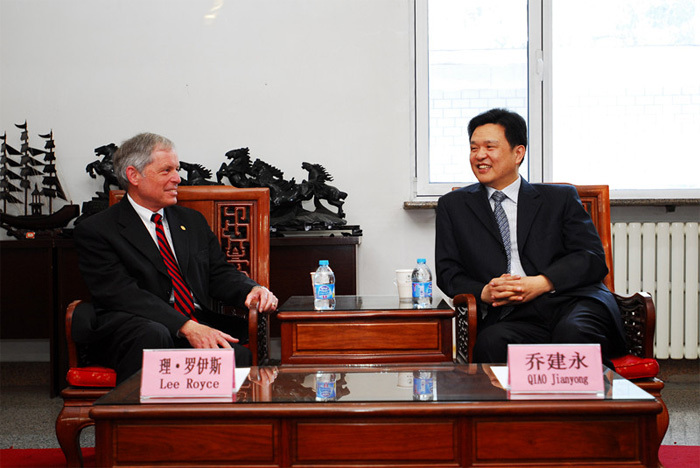 Afterward, Mr. Qiao Jianyong and Mr. Lee Royce exchanged views on teaching, research, student exchange and faculty exchange. Ms. Xin Lingling, Assistant to President and Director of General Office, Ms. Ren Chunxia, Director of International Office, and Mr. Hu Qibin, Chairman of School Board of Humanities, also participated the meeting. 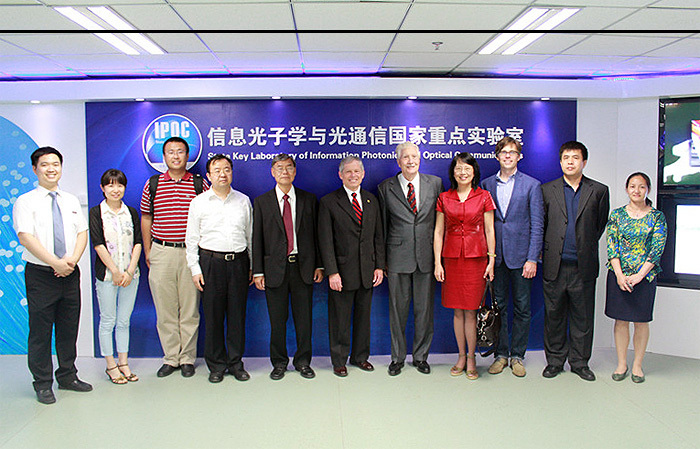 After the meeting, the delegation visited the State Key Laboratory of Networking and Switching Technology, the State Key Laboratory of Information Photonics and Optical Communications, and International Chinese Training Center of BUPT. 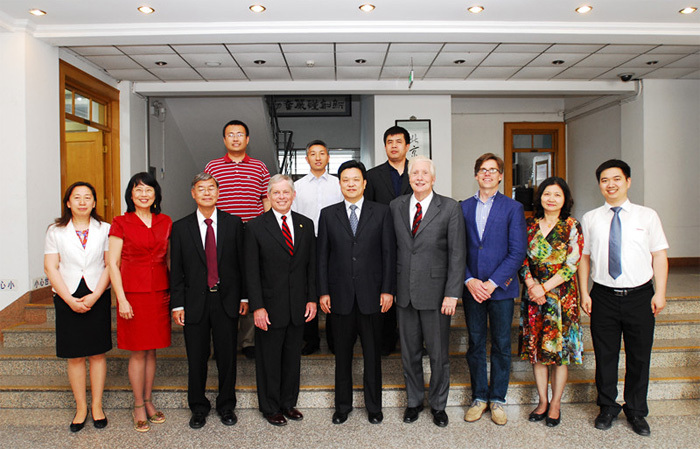 Mr. Lee Royce, President of Missippi College, was accompany by Mr. Ron Howard, Vice Presidentof Missippi College, Mr. Stradinger, Leadify CEO, Mr. Forster Sun, Computer Teaching Affairs Manager of Missippi College, Ms. Louis Lau, China Affairs Manager of Missippi College, Mei-Chi Piletz, Global Education Manager, Missippi College, and Ran An, Education Expert.